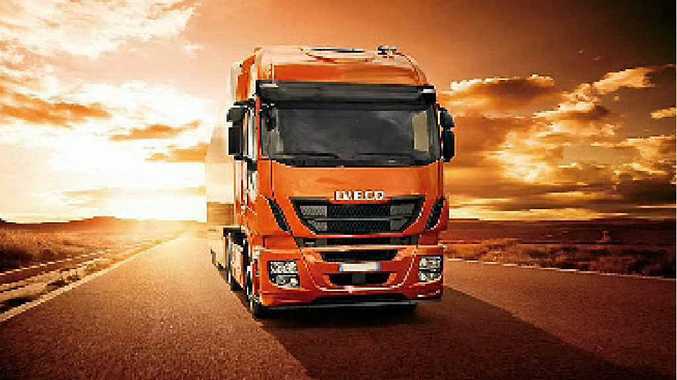 GONG: The Iveco Stralis was voted truck of the year at IAA. IN CHOOSING the STRALIS Hi-Way from IVECO as their 2013 European 'International Truck of the Year', the award judges stated that the heavy duty truck "has made the greatest contribution to road transport efficiency from several different perspectives including: fuel economy; safety; driveability; comfort and a low-environmental 'footprint'". The prestigious annual award-given by the 25 leading commercial vehicle magazines in Europe-was presented at the gala evening of the 64th Hanover International Motor Show. The Hanover exhibition is Europe's largest commercial and industrial vehicle show. "We are proud of this award. The new STRALIS sets a benchmark in efficiency, quality and value for the customer," said IVECO CEO, Alfredo Altavilla, at the presentation ceremony. "The vehicle is a true showcase of our revamped company strategy of being close to our customers and delivering excellent products." The new STRALIS is produced to the highest standards of manufacturing quality. This, combined with a range of new features significantly reduces the Total Cost of Ownership (TCO). The AD/AT and ASL models will be made at the IVECO Trucks Australia Dandenong plant and the ATi at the IVECO plant in Madrid, Spain. All versions will be available in Australia through IVECO Trucks Australia from May 2013. Equipped with FPT Industrial Cursor engines, the new STRALIS ensures low fuel consumption and excellent performance. The unique High Efficiency SCR (HI-eSCR) catalytic reduction system-designed, patented and produced by FPT Industrial-makes the new STRALIS the only heavy vehicle on the market to meet Euro VI emission limits without the use of Exhaust Gas Recirculation (EGR). The exclusive HI-eSCR after-treatment technology reduces nitrogen oxide levels by more than 95 per cent, without increasing fuel consumption. The cabin of the new STRALIS has also been fully redesigned. Improved ergonomics and comfort are the product of close cooperation between dealers and customers. The external restyling of the cab has focused on improving vehicle aerodynamics and therefore fuel efficiency. Among many new features, the cabin now has a central grille and redesigned "air deflectors" and a new bumper dam design.